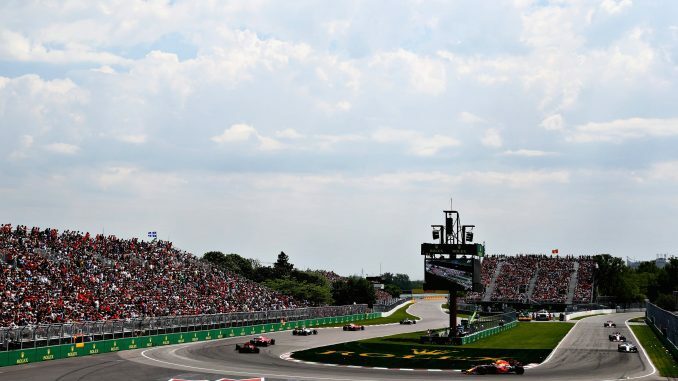 The seventh round of the 2018 Formula 1 season takes place this weekend as the Circuit Gilles Villeneuve hosts the Canadian Grand Prix in Montreal. Lewis Hamilton heads into the weekend as the championship leader, 14 points ahead of Ferrari’s Sebastian Vettel, while victory at the Monaco Grand Prix last time out means Daniel Ricciardo completes the top three in the standings. 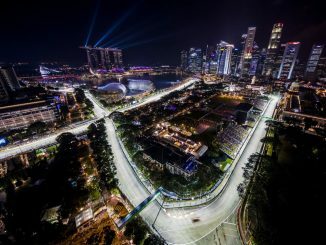 The reigning world champion is the only member of the current grid to have multiple F1 wins at this track, with Vettel, Ricciardo, Kimi Raikkonen and Fernando Alonso each having one previous victory. 3 Legs 4 Wheels previews this weekend’s race. 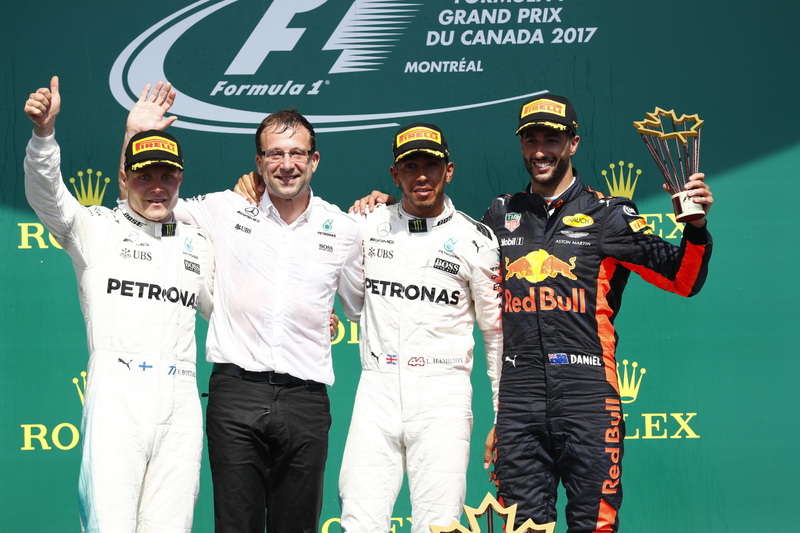 Hamilton proved he’s the dominant driver in Canada again in 2017, securing his third straight victory in Montreal and the sixth of his career, having started the race from pole position. The Briton came under pressure from Max Verstappen in the early stages as the young Dutch driver made up several places on the first lap, but his car lost electrical power after just 11 laps. Verstappen had also suffered a minor collision with Vettel on turn two of the opening lap, leaving the German with front wing damage which later broke, forcing him to pit early which dropped him down the order, leaving Valtteri Bottas to clinch second ahead of Ricciardo. Vettel recovered well from the damage, eventually claiming forth after passing Sergio Perez late on, while Lance Stroll put a couple of difficult races behind him to secure the first points of his career at his home race. The FIA announced earlier this week that Canada will have an extra DRS zone this year, giving drivers an additional opportunity to open their rear wing and look for a way past the car in front. It’s the second time three DRS zones have been used on one track after Australia in March, but the change had little impact there. The circuit is otherwise unchanged from last year. Most drivers will have new power units for this race, having completed almost a third of the 2018 calendar. Renault and Honda have both announced that they’re providing power unit upgrades for the cars that use their engines at this race, but Mercedes had to push their upgrade back to the French Grand Prix. A number of teams have also promised upgrades on the car this weekend, including Haas who will have their first major update of the year. 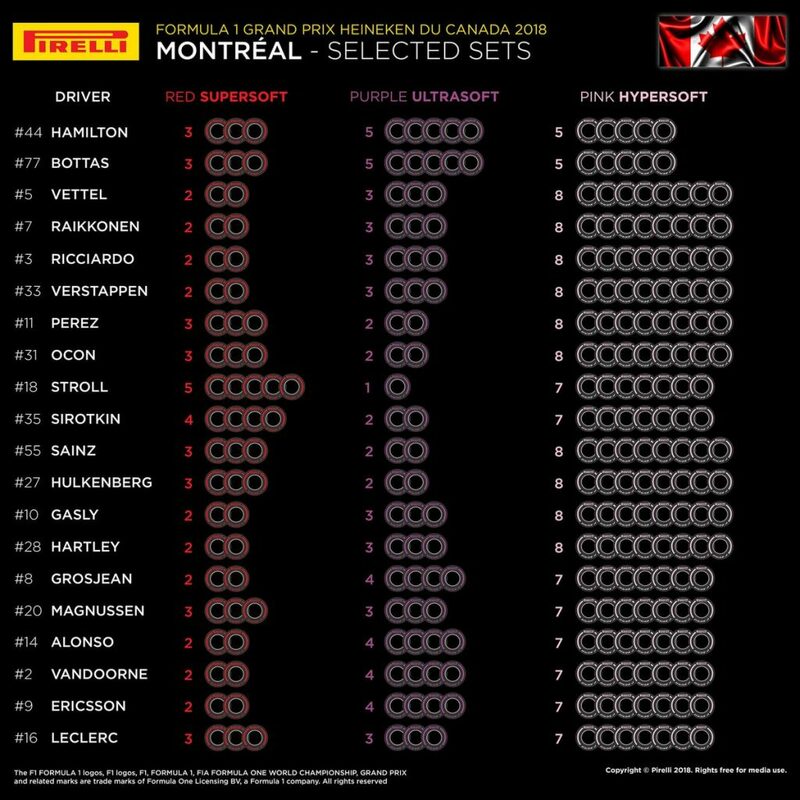 We’ll talk about tyres in more detail shortly, but Pirelli have opted to bring different tyre compounds to Montreal than in 2017. The new for 2018 hypersoft tyre makes its second appearance of the season, along with the hypersoft and supersoft – the same compounds that were in use at last month’s Monaco Grand Prix. Last year, the ultrasoft was the softest tyre used at this race, along with the supersofts and softs. Mercedes come into the race with fewer hypersoft sets than any of their rivals. All other drivers have elected to bring seven or eight sets to the race, but Hamilton and Bottas will be able to use just five sets of the softest Pirelli compound. Williams, Haas and Sauber have each split their drivers’ tyre strategies, with Lance Stroll bringing one of the more interesting selections on the grid. Most drivers have opted to have just two or three of the supersofts in their garage this weekend, but the Canadian driver has five of the hardest tyre available at this race. Last year, most drivers preferred a one-stop strategy, starting the race on the softest compound before switching onto either the supersoft or soft compound. Vettel proved a two-stop strategy could also work through, using two sets of ultrasofts to help him works his way through the field after falling behind early on due to front wing damage. The hypersofts are still a new tyre to F1, having only made their first appearance last time out in Monaco. 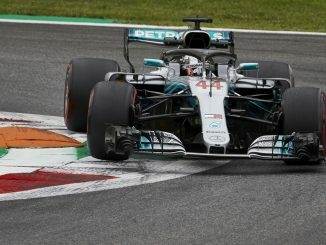 Despite the softer rubber, the tyres didn’t have much impact in Monte Carlo, with most drivers still needing just one trip into the pitlane to complete the full race distance, although Pirelli has predicted that won’t be the case in Canada, with two stops expected to be the quicker option this weekend. The weather can be a mixed bag in Canada, but it looks like it’s going to be sunny and dry all weekend at Circuit Gilles Villeneuve. Tomorrow’s practices will take place in hot conditions, with temperatures forecast to reach around 21°C. Saturday looks similar for third practice and qualifying, albeit slightly cloudier, while sunny but slightly cooler conditions are expected on race day. Fairly consistent conditions throughout the weekend should give the teams plenty of time to figure out how to set up their cars for race day, particularly those who have new engines and other parts on the car, as well as get a good understanding of how the hypersofts work around Montreal. Recent history tells us Canada is Lewis Hamilton territory, and the current world champion will equal Michael Schumacher’s seven victories at the track with another win this weekend. Mercedes may not be as dominant in Montreal this weekend due to Renault and Honda’s engine upgrades, but Hamilton will surely be confident of another good result at the site of his first ever F1 victory. Hamilton could face stiff competition from his teammate this weekend though. Bottas is unlucky not to have a race win already this season following a late puncture in Azerbaijan, and seems to enjoy Circuit Gilles Villeneuve, with three podium finishes in five previous appearances in Canada. 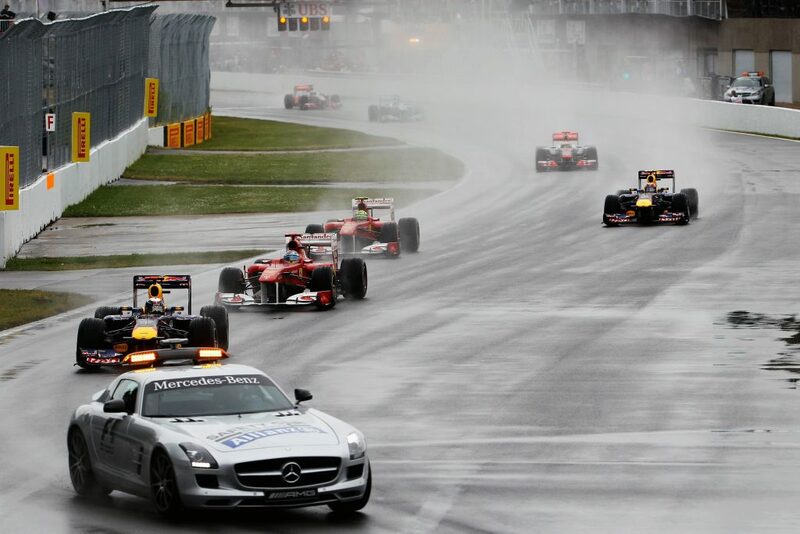 It seems likely we’ll see the safety car during Sunday’s race, with 12 of the last 20 races involving at least one safety car, while two races have included four separate safety car periods. 2011’s race saw 32 of the 70 laps completed behind the safety car, as well as a two-hour break due to a red flag, but that was mainly due to the weather conditions, which aren’t likely to be a factor on Sunday. 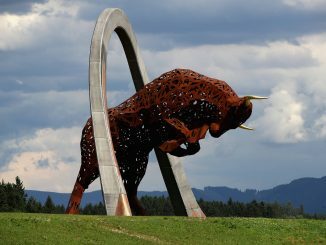 Whoever starts Sunday’s race from pole position won’t be guaranteed the win, with just seven of the last 16 races being won by the driver who was fastest on Saturday, while four races since 2004 have been won by drivers who have started the race outside the top four, including Ricciardo in 2014 and Jenson Button in 2011. This could be good news for Red Bull. Max Verstappen has never started in the top four at Canada, but showed good pace at the track to climb up to second before breaking down last year, while Ricciardo is expected to have a grid penalty for changing engine parts which will leave him starting out of position. Ferrari will be looking to end a long run without a win in Canada, having last secured victory with Schumacher in 2004. This will also be the 100th race since Raikkonen’s last F1 victory. Male sure you listen to this week’s podcast to hear what the 3Legs4Wheels team think ahead of this weekend’s race, and check out our predictions for the podium. You can also following our live blogs during qualifying and on race day, and let us know what you think through Twitter and Facebook.